Ivory Towers promo photo. Right click to download. The personal is political, especially when one’s rights are targeted by those in power. The latest release by Ivory Towers, “Queller,” is about survival – it is a protection spell for shielding one’s inner self against the hostile modern political landscape. The songs are inspired by violent dreams, the cruelty of growing up as a teenage girl, maenads, domestic love, the mallow flower that grows in swamps, the horrors of war, and the loss of a friend. These self-produced electronic compositions range from abrasive to opalescent – combining pop structures and beats with organic elements such as field recordings, harp, and intricately-spliced vocals to create crystalline, intimate dreamscapes. “Queller” is the third EP from Ivory Towers, the solo music project of Vancouver, BC artist and producer Quinne Rodgers. Elements of visual art, biology, and fashion combine to shape the world of the project. 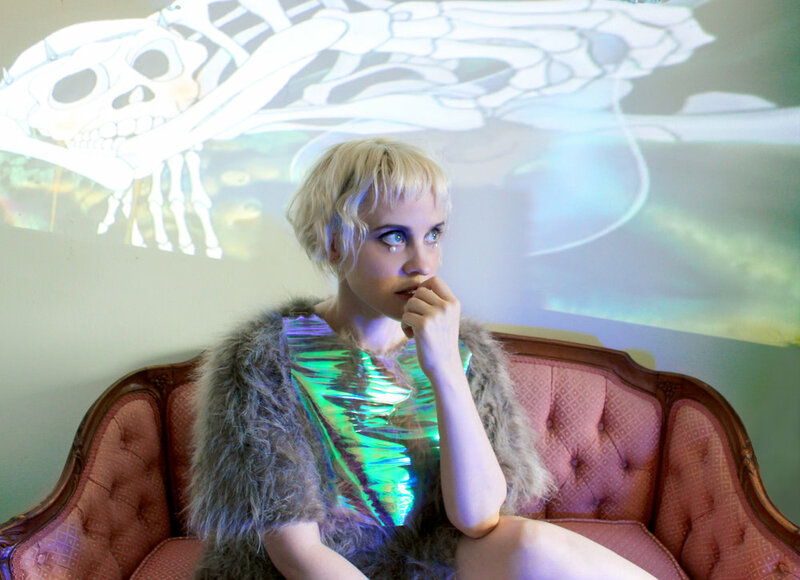 She was previously part of feminist dark electronic duo MYTHS, a multi-media project that performed an electronic opera and toured with Grimes and Elite Gymnastics.